When the application has installed, it will be available in your application list. Click on the Smartabase link. 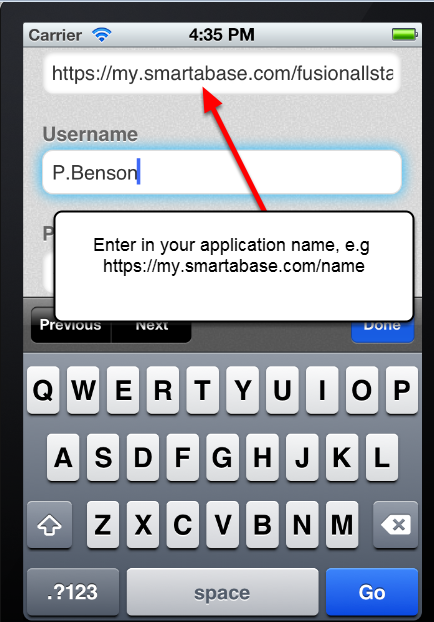 Now enter in your Smartabase/Profilersports Username and Password. 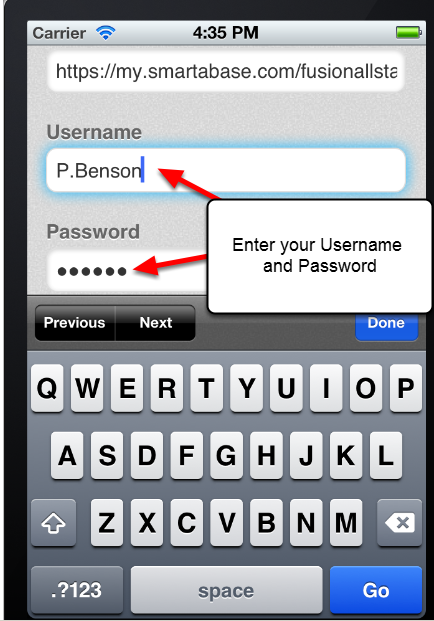 You need to enter the username and password that you enter when you login to your software on the internet version, or on the installed (desktop) version. If you have any problems, or you have forgotten your username or password, please contact the Administrator for your organisation/sport. You can login Online if you have internet access, or Offline if you do not have internet access. 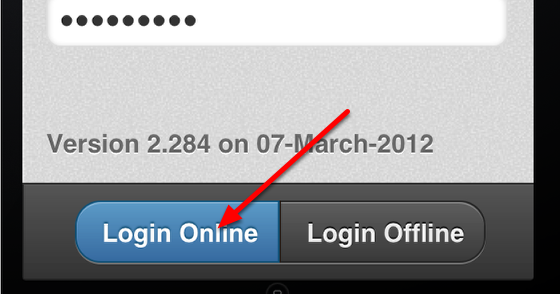 However, the first time you login you need to click Login Online. 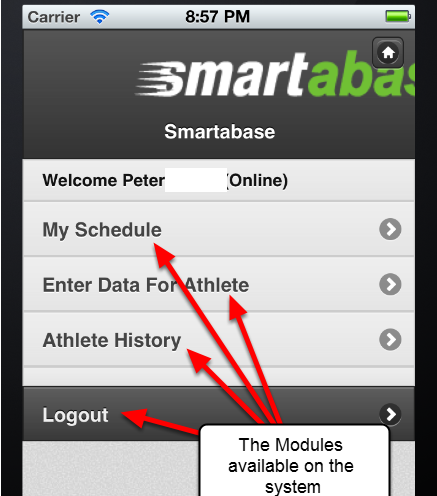 Your Home Page may display the following Modules: My Schedule, Enter Data For Athlete, Athlete History and Logout. The modules available on the iPad/iPhone version are reviewed in the subsequent lessons. If you do NOT have access to these, it is not because you are running a previous version of the software. It is because you have not been given access to these Modules by your Administrator. Please ask your system Administrator about access to these Modules if you need them. If your Home Page looks like this and has Event Form names appearing on it, it is because you have favourites set up on your main system.